Guests are often asking us what is included in a night’s stay at Aulani, A Disney Resort & Spa? 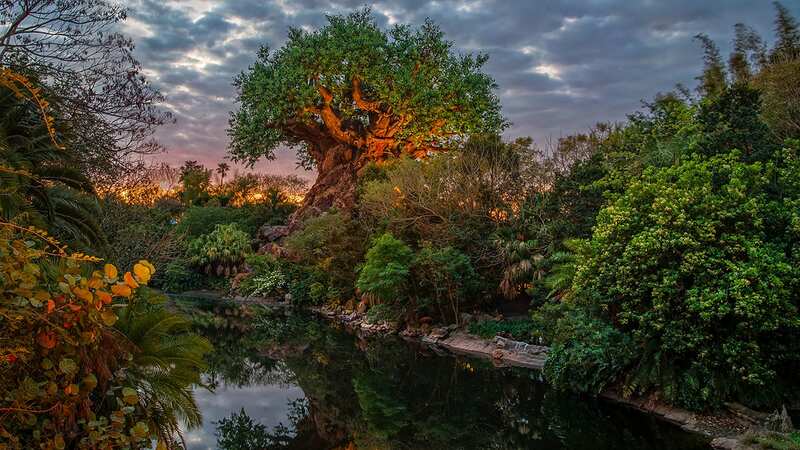 The amazing list of inclusive vacation elements is filled with offerings guests can enjoy for days of fun, and with no additional charge for most activities! 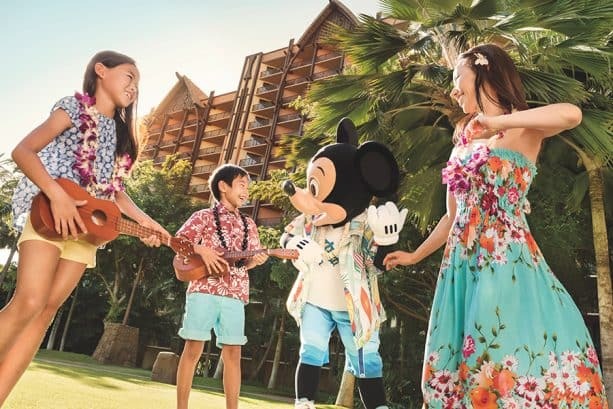 Included in a stay at Aulani Resort, guests may experience our exciting kids club, family activities, nighttime entertainment, unforgettable pools and more! And yes, even some aloha fun with Disney characters! 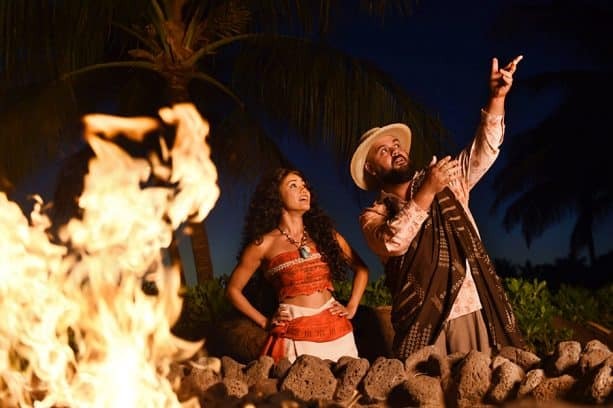 And where else can you gather all ages of your multigenerational family to be entertained as you listen to Uncle, our master storyteller, share tales of Hawaiian legends and lore around the glow of the fire pit illuminating the palm-laden night sky? Guests at Aulani Resort will enjoy our Moʻolelo Fire Pit Storytelling located in the picturesque Waikolohe Valley pool area. And sometimes even a wayfaring voyager drops by…shhh…our secret! 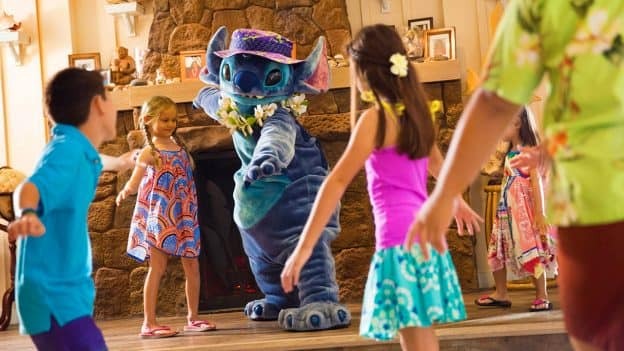 For those of you looking to join us at Aulani Resort for the authentic cultural experience, you’ll definitely want to plan some time on your vacation for a hula lesson for the entire family with ‘Ohana Hula, or join for Hoʻokani Pila ­– Learn the ‘Ukulele in Pau Hana Room – Community Hall where families not only gain a beginner lesson and learn a song or two, but also learn about the instrument itself and how it became such a positive influence in Hawaiian culture. And if you are an art lover, you’ll be delighted to experience one of the largest collections of contemporary Hawaiian art in the country! Maka‘ikaʻi, the Art of Aulani Resort is an inspiring, in-depth walking tour available for all ages. Sitting by one of the themed pools or on the gorgeous soft-sand beach more your style—you’re in luck with complimentary beach chairs and umbrellas, and exciting offerings at the pools including the Waikolohe Stream where you can tube through caverns and on a lazy river, or the Waikolohe Pool with splashtacular slides and pool parties with some of our favorite Disney Characters, or maybe the Ka Maka Pool is more your dream with the beautiful infinity-edge pool in a themed grotto, also featuring a whirlpool or the adult-exclusive Wailana Pool as a relaxing retreat. And then of course once you’ve relaxed, enjoyed some well-deserved family time and remarkable cultural experiences you might be ready to take advantage of the exhilarating fitness offerings including a dynamic workout utilizing sand and sea with Splash and Dash Fitness or a Seaside Stretch on the shores of the lagoon where you can improve your flexibility and range of motion. Or maybe you want to take it up a notch with Beach Obstacle Boot Camp, Beach Body Boot Camp or Cardio Rush and more. Aulani Resort offers many fun, challenging fitness opportunities for a variety of workout levels for all ages. As you prepare to come visit us at Aulani Resort, don’t forget to check out our list of all that is included, and once you’re there, check your Daily ‘Iwa for all of the latest dates and times. 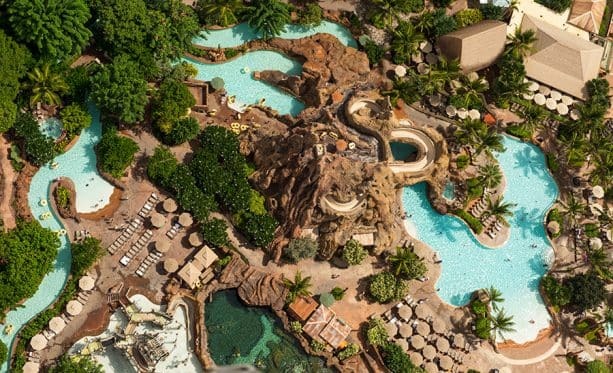 With all that is included in a stay at Aulani Resort—what are you most excited about? Wow! Complimentary beach chairs and umbrellas. Doesn’t get much better than that. AND complimentary kid’s club–Aunty’s Beach House! Thanks, Stan!